There are days when the foods are too spicy for me to handle and I would need a backup plan. My usual options to reduce the torture would be eating coarse sugar or drinking warm water. I tried drinking milk sometimes too, but I usually try not to make it a habit because I'm pretty sure I'll be finishing the whole box every time. How spicy a food can be to be too spicy for me? 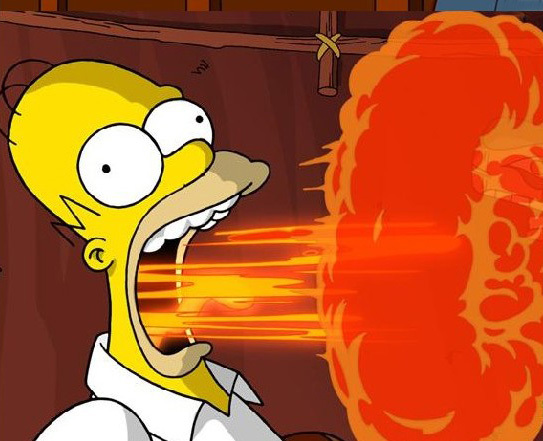 I thought my uncle's 'sambal belacan' is the spiciest thing in the world because my uncle is spicy food monster (raid boss level, LOL) but what happened last week made me rethink my standard again. You see, I was invited by Nuffnang to attend Mamee's Cool Tea event and on that day, I was faced with a killer spicy chicken. It started as a normal event, I saw a lot of my blogger friends and since I've been super busy since November seeing them again was a breath of fresh air. 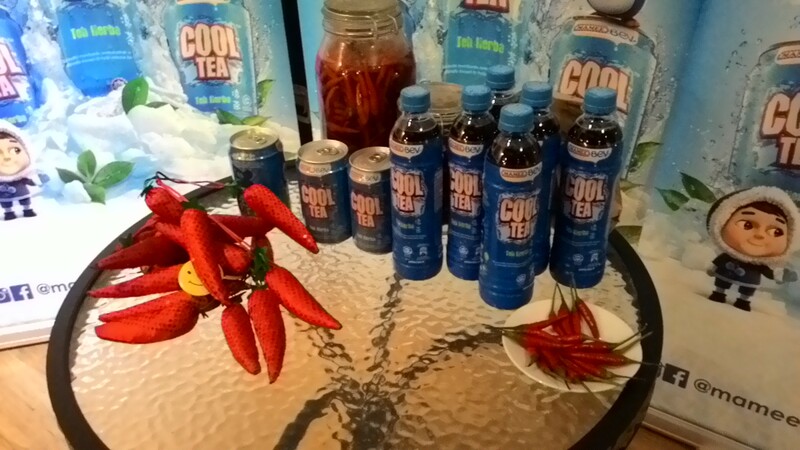 We were checking out the new Mamee Cool Tea drinks display counter when I found out that I would be eating something spicy soon after. I was not that worried because I thought that I can still handle it better than some others. 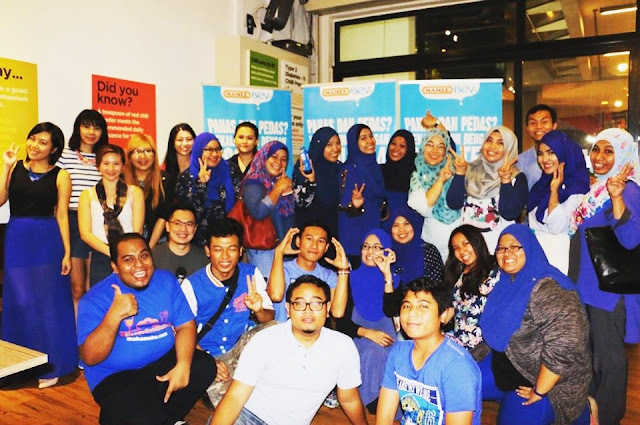 The event took place at Chilli Rush, Jaya One and just like how it's named, spicy foods is this restaurant specialty. 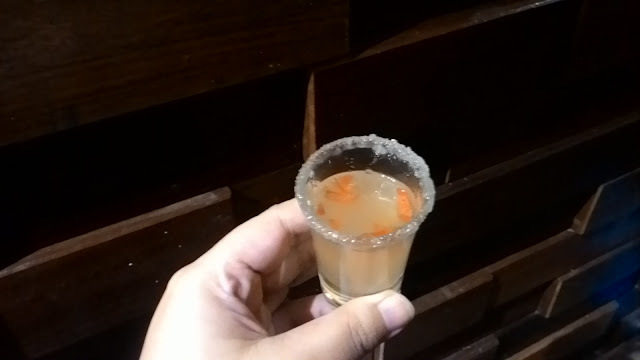 To kickstart the night, we were served with a shot of spicy drink. Yes, I did not type it wrong. We really had a spicy drink that night. I've had a spicy coffee before but this particular shot was a tad spicier, tasted like pineapple juice mixed with a lot of bird eye chili and topped with slices of red chili. It was quite an interesting moment. We wash the pain off with Mamee Cool Tea drink so it was not that bad at all. We also did some quizzes on Mamee Cool Tea. Dinner was served afterwards, but it was definitely not the highlight of the event. Do you know that spicy is not a taste but pain? You can measure it in Scoville Heat Units to compare food spiciness level. The most interesting part came after dinner which is when the killer chicken comes into the story. 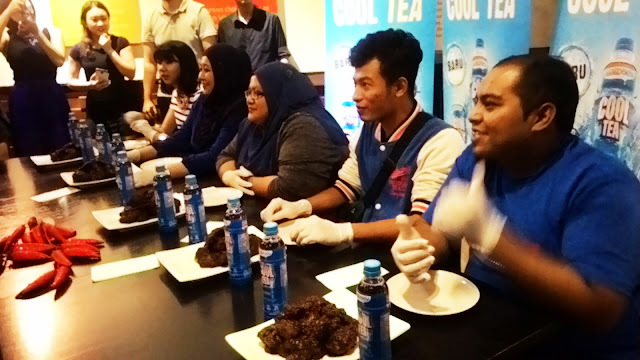 We were told that everyone will be participating in a spicy food challenge so we can test out how Mamee Cool Tea can help to combat the spiciness afterwards. We were divided into a few groups and unluckily I was in the first team. The group task was to finish up a dozen of Level 10 spicy chicken within a minute and since there were six of us in the group, we needed to eat a pair each. You can actually smell the spiciness radiating off the food so I was prepared to give up after a few bites. You know what's funnier? I surrendered right after the first bite. We were instructed not to drink the Mamee Cool Tea within the minute so we had to temporarily withstand the torture. It was the longest 60 seconds of my life. Right after the whistle blew, I gulped down the whole bottle of Mamee Cool Tea Herbal Tea in a flash. Made of 8 natural cooling ingredients like liquorice root, lotus leaf, honeysuckle and chrysanthemum flower, selfheal, grosvenor momordica fruit, mulberry leaf and mesona chinensis I actually felt better quicker than I thought I would be! The tea did cool down the spiciness although the after effects of eating that crazy spicy chicken could still be seen on my lip. It looked like it's been stung by a bee, LOL. Did I mention that I cried a little too? That's how spicy it is! I was relieved that I didn't make it to the last round because the finalists were given an upgrade on their chicken. 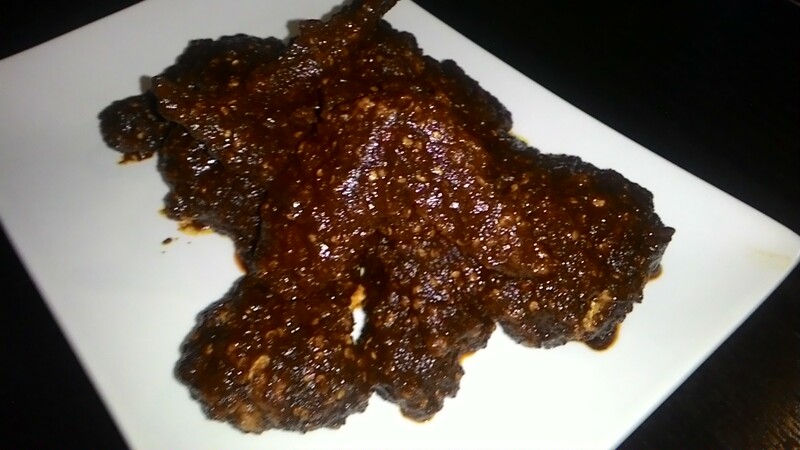 If ours were the Level 10 spicy chicken, the final challenge was to eat a whole plate of an even spicier chicken, cooked with a type of chili from India that is 100 times spicier than the bird eye chili!! The smell alone made my nose hurt like crazy. Honestly speaking it was the spiciest thing I've ever eaten and I doubt anything would be able to surpass that. Thank goodness for the Mamee Cool Tea because it really helped with damage control afterwards. Not just relieving the spicy feel in my mouth, the eight herbal extracts I mentioned earlier helps in reducing body heat too. Despite the hotness of the chicken, I wasn't sweating profusely as I initially thought I would be. Herbal tea is the newest addition to Mamee's Cool Tea family, they also have a chrysanthemum and green tea flavour too. Don't let the Herbal Tea name fools you like it did to me. At first, I thought it would taste herbal-ish and bitter but it's actually a sweet drink with no hint of herbal at all! They are now available at 7-Eleven stores, Aeon, Tesco, The Store, Giant, Aeon Big, Econsave, KK Mart, Shell and Mydin. You can check out Mamee Cool Tea Facebook page at www.facebook.com/mameecooltea and Instagram at @mameecooltea to check out more on the new product. Thank you again Nuffnang and Mamee Cool Tea for having me on the night (although I'm not that ecstatic on the spicy part LOL)!